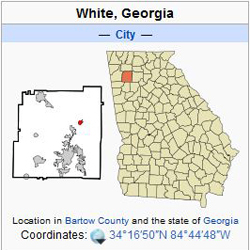 White is a city in Bartow County, Georgia, United States. The population was 693 at the 2000 census. White is reached where Highway 411, and Interstate 75 meet. White is located at 34°16′50″N 84°44′48″W (34.280449, -84.746606). Excellent City School system that consistently performs well above the state and national averages on standardized tests and other assessments. 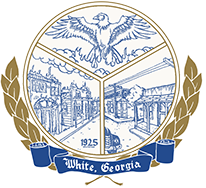 White is a bedroom community of Cartersville which is located 8 miles to the southwest, but they are connected by a chain of homes and retail shops. White is the stepping stone from extremely rural areas of Georgia, to areas just south of White that are considered urban or urbanizing. Bartow County was created from the Cherokee lands of the Cherokee County territory on December 3, 1832. Located only 30 miles from Atlanta, Georgia, Allatoona Lake is situated on the Etowah River, a tributary of the Coosa River.